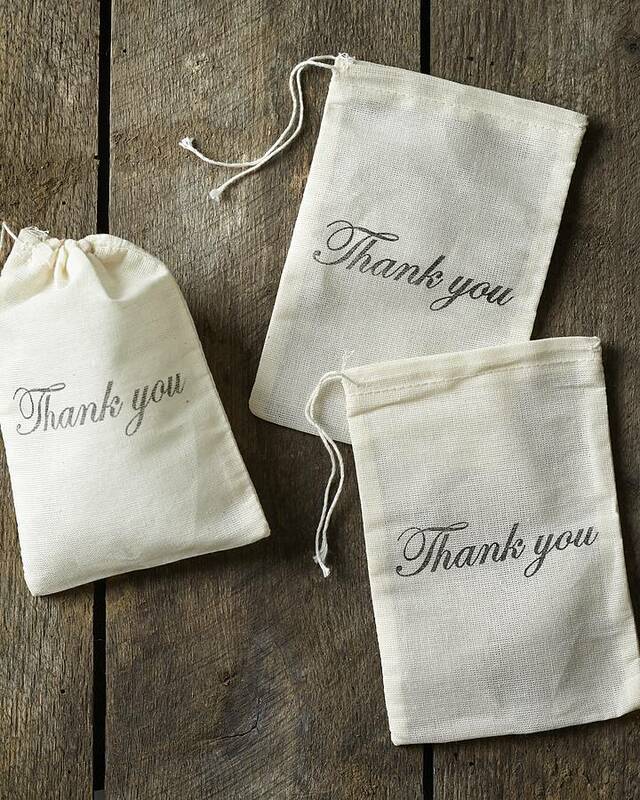 Set of 3 charming hand stamped 'Thank You' gift bags. Perfect for filling with gifts, sweets or baked treats we are sure you can find lots of uses for these cute little bags. With three bags per pack they are indivdually hand stamped with our 'Thank You' motif in black onto cotton muslin bags.They would make great gift bags for the festive season or favour bags for your next wedding, party or event! 100% cotton, hand stamped with fade resistant ink.